We welcomed four new missionaries this morning: Elder and Sister Jeske Elder Warnick, and Elder Meacham. 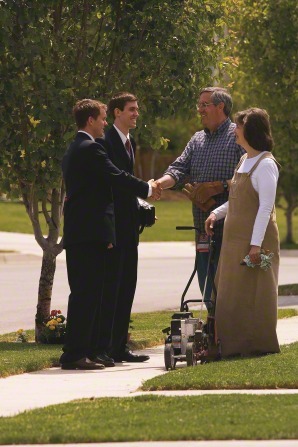 Whenever missionaries stop at the mission office, one of the first things they do after greeting everyone is to check and see if they have mail. Missionaries love to get letters & packages from friends and family! The Zone Leaders (24 of them) gather once each month with President and Sister Mullen and the Assistants for a council meeting and training.